Pernod Ricard has appointed AnalogFolk to handle a global campaign to launch a new variant of its Malibu drink. The agency won the business after a pitch and will now lead the development of the new product’s global 2012 brand campaign. Sebastian Billing, the global communications director for Malibu, made the appointment. The 2012 campaign will break next summer, and will include advertising, online, mobile, PR and point-of-sale elements. AnalogFolk will also oversee the packaging design for the new variant, details of which have yet to be disclosed. Bill Brock, a founder of AnalogFolk, said: "The aim is to create something valuable and interesting that consumers will interact with across and through media, and is seamlessly integrated with the product." Pernod Ricard currently uses Publicis London to handle the advertising for the main Malibu brand. The agency has worked on the business since May 2009, winning the account in a pitch against the previous incumbent Droga5. In April 2010, Malibu rolled out a new UK brand campaign that played on the brand’s West Indian heritage. 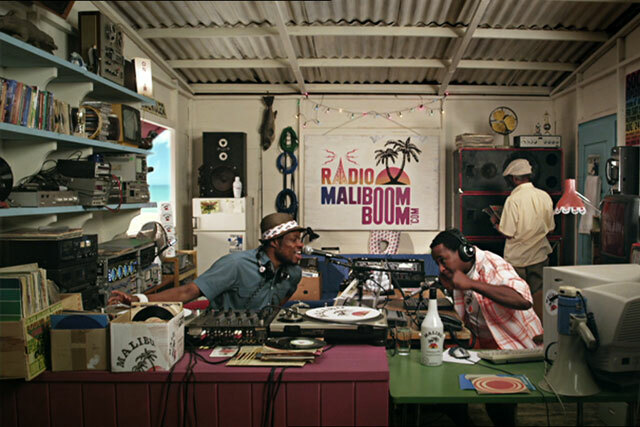 Created by Publicis London, a TV spot featured two Barbadian DJs, MC Wonder Full and DJ Bernhard, who teach people around the world how to dance the "Maliboom boom".